Gourock, a town on the West Coast of Scotland, approximately one hour’s drive from Glasgow city centre is the home of Amazon fulfilment centre GLA1. The fulfilment centre shipped its first order in the summer of 2004 and has arguably the best view in the Amazon UK network, with views to the river Clyde, Loch Eck and The Holy Loch. 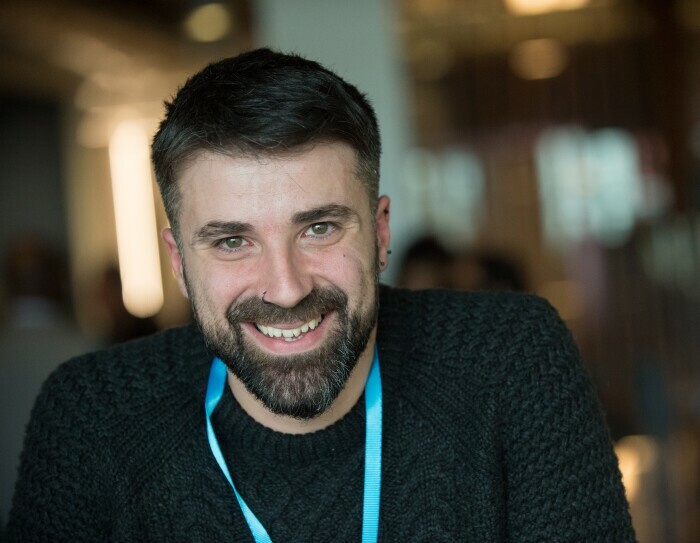 Fotis Karounias joined the GLA1 team at the end of 2016 as a temporary fulfilment centre employee but enjoyed the job so much he decided to stay on permanently. Fotis works as a picker, which means that when a customer places an order, he is responsible for locating the product, picking it from the shelf and sending it to be packed. “Amazon is inspirational, innovative and dynamic. I find myself constantly wanting to learn and there is ground for personal advancement and growth. If my coworkers or I come up with ideas, we are encouraged to present them,” said Fotis. “For me, Amazon is the right place to work because I have a degree in graphic design and wanted to follow that up with a postgraduate degree in 3D design while also earning a living. Working the night shifts at Amazon is perfect for me as it means I can study during the day and my managers are very flexible about my shifts in order to accommodate my studies,” wrote Fotis in his entry. During the five-day trip to Seattle, Fotis and Amazon colleagues from sites across the UK were shown around the city and enjoyed a trip up the Space Needle. They also went on a tour of the Amazon campus and the robotics fulfilment centre in Kent, Washington, where they met Amazon’s chief scientist.